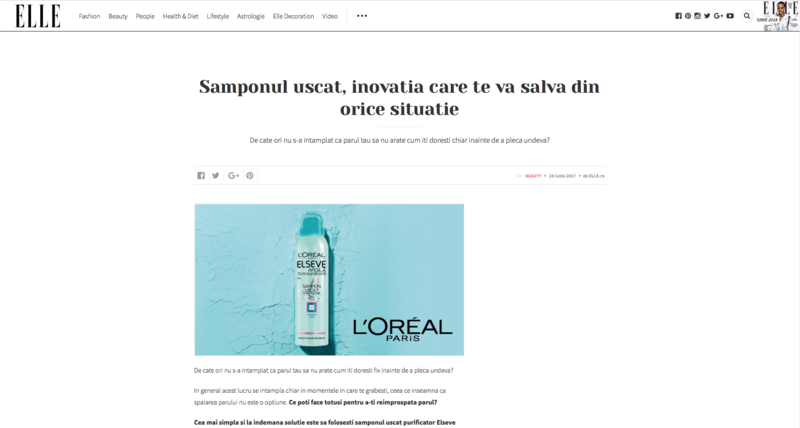 Brief: L’Oréal had just launched their dry shampoo product and they asked for our help to spread the news about it and make people curious enough to try it, so that thet can like it and use it frequently. The customer requested specifically videos that show how the product is used. Concept: We created a connection with our readers by recreating situation from everyday life when having awesome hair is useful or needed but for which there wasn’t a quick solution. Now there is: L’Oréal’s new dry shampoo. We created a video-series which recerates those situation, shows the benefits of the product and how it makes people’s lives better. Delivrables: 3 videos (production, concept, copywriting, editing), 2 articles, native advertising, promotion.